On the last day of BSBC, Finland-Sweden and Estonia-Latvia measured up as the last pairs. Both Finland and Sweden earned one win to add to the table, Latvia finished their tournament with two. As always, the first pair consisted of the foreign states. The opening quarter of the U16 girls’ game was very even, ending with a tie at 16:16. The second continued in a similar vein – even if the Finnish did manage to take a slight lead, their opponents never gave them the opportunity to feel comfortable. Heading into half time, Finland was ahead 33:29. In the third quarter the leaders couldn’t lose the Swedish either – even though leading by double digits at a point (41:31), Sweden was fighting hard and wouldn’t stay far – a 47:42 lead with 10 minutes to go certainly wasn’t a guarantee for Finland. They took that to heart and in those last 10 minutes managed to strengthen their lead, and end the tournament with 63:49 win on the score board. The winners had their best in Saga Ukkonen once again, who brought 15 points and made 7 steals; Awak Kuier, who also showed her strength in the tournament adding a double-double of 11pt+12rb, in addition to 4 assists, 2 steals and 4 blocks. 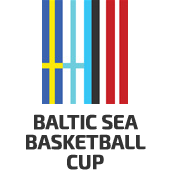 Sweden’s strongest performers were Emelie Erlandsson, 15p+7rb+3st, and Melina Curiander, 13p+2st. Finland also clearly dominated in terms of team statistics, rebounds 39-28, assists 18-8, steals 25-14, blocks 8-0. They hit more accurately from inside the arc (2pt 44% vs 34% and freethrows 65% vs 53%), but Sweden was quite a bit better behind the 3pt-line, 42,9% (7/3) vs 19% (21/4). The first of the U18 games was, as a whole, very competitive and in fact ended with overtime. In the first half of the game, anyone could have easily predicted a Finnish victory, but this was a very clear case of the saying “It ain’t over ‘til it’s over”. The Finnish girls got a very good start in the first quarter at 21:6, and won the half very convincingly as well, 34:14. Soon after the half-time break it became very clear, though, that the Swedes had changed gears. The lead melted away bit by bit and they headed into the final quarter with a single-digit deficit – 35:44. The beginning of it seemed promising for Finland, as they pulled back up and seemed to keep Sweden at enough of a distance. As the quarter went on, it became increasingly clear, though, that Finland was in trouble. At the halfway point, Sweden was at -5 (48:52) and a few minutes later, took the lead, first 54:53, then 56 to 53. In the final battle, Sweden’s final shot, 2 seconds before the end, brought the game to a tie, 62:62, and took it to overtime. That was clearly better used by the Swedes, who celebrated their 67:62 win, despite their rocky start. The most outstanding performances were given by Stephanie Visscher (20pt+9rb+3as+7st) and Moa Filen-Hammarström (16pt+6rb+3as+3st) for Sweden and Sara Bejedi (14pt+4rb+3as) with Nea Kuisma (11pt+6rb) for Finland. The key to Sweden’s success was in their 3pt accuracy (28,6% vs 22,2%) and steals (22 vs 13), also a stronger game in terms of turnovers – Finland lost the ball 40 times, Sweden 26. Neither of the Estonia-Latvia games got tense, exactly. In U16, Latvia kept a lead more or less from the beginning of the game. They won the first quarter 22:14, the half with a solid 41:21. On behalf of the Estonian girls, let it be said that despite the big loss yesterday and the difficult first half, they didn’t give up the fight and kept Latvia from advancing further, ending the third quarter with 31:50. Their resistance faded somewhat in the final 10 minutes, and the Latvian team finished the tournament with their third win, 71:39. Latvian leader Laura Meldere won 22pt+9rb+3as+4st, Anita Mikelsone game her team 19pt+5rb+2as. Anna-Gret Asi was Estonia’s strongest for the 3rd day in a row, bringing 10 points, 5 rebounds, Maria Gonstarova gave her best with 9 points, 2 rebounds and 5 steals. Latvia won rebounds by a large margin, 47-26, the same for assists (20-6) and steals (21-9). They also won in terms of turnovers, 24 against our 37. Curiously enough, the U18 game, just as yesterday, was very similar in general layout. But just like yesterday, the final score was a bit more even. The difference was more visible in the first quarter where, even though Latvia was the more dominant side, the hosts showed resistance and were awarded just a 5-pt deficit, 14:19. Latvians built a bigger lead in the second quarter, where they demonstrated a very confident game, scored 28:7 and got to finish the half at 47:21. The ship has pretty much sailed for Estonia with that, but like the younger girls, U18 didn’t stay to mope, but put up a fight in the second half. Latvia tried to strengthen their lead time and time again, but the hosts kept in the game. The final score ended up being 81:56 and the Latvian U18 team, like their younger counterparts, won the tournament without loss, whilst Estonia ended up 4th in the table. In the last girls’ game, Latvia gave strong performances in Nikola Ozola, 21pt+3rb and Janeta Rozentale, 14p+8rb. 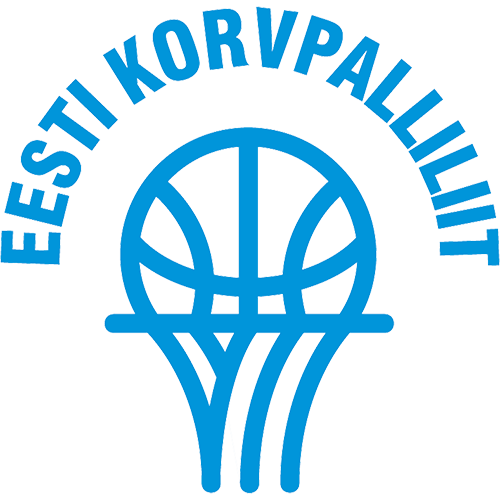 Estonian best were Sandra Reinvald, who performed well all tournament, with 13pt+5rb+3st, and Janne Pulk, 13pt+3rb. Important bits of statistics: rebounds to Latvia by a lot: 50-2, assists 14-7. We would like to thank everyone who contributed to this year’s Baltic Sea Basketball Cup, whether it be game, organization or any other aspect. Our biggest thank you goes to the teams, of course, and we hope to see everyone in Tallinn next year – one way or another! If there is anything still needing double-checking post-tournament, all statistics, schedules and other details will remain on the tournament website for everyone. All photos from the three days can be accessed on Estonian Basketball Association’s website, under the Gallery section. A golden double for the Estonian boys from BSBC!